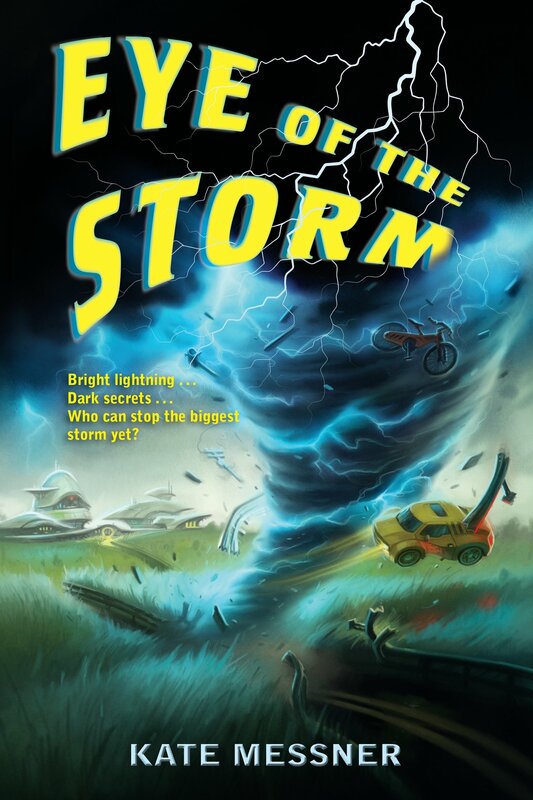 Kate Messner’s Eye of the Storm tells the exciting story of a girl who has to stop a storm that could destroy the world as she knows it. For Jaden Meggs, huge storms and killer tornadoes are an everyday problem. When she moves to Placid Meadows, a unique community her father built, she is never touched by the storms. There she goes to Eye on Tomorrow, an advanced science camp created by her father, where she befriends Alex and Risha. At camp, the trio experiment on how to dissipate, or evaporate, a storm. While conducting research, they find out a dark secret about Jaden’s father. To save their lives, and the world, they must work together to stop the biggest storm yet. One theme throughout this book is problem-solving, because Jaden and her friends have to use their brains and tools provided to try to stop the storm. They face many challenges, but push through them by working together. From the moment I picked up this book, it was so exciting and suspenseful that I couldn’t put it down. The characters were realistic, and I felt like I was running from the storms with them. Messner described everything in detail, and it all felt so real. The aspect of first person narration added to the story by letting readers know what Jaden is thinking and feel her emotions. Eye of the Storm was an amazing book full of cliffhangers, and I would recommend it for teenagers who love adventure and suspense.